Sealing Your Paved Patio: Why Is It Important? If your patio design in Roswell, GA, includes pavers, it’s important to seal the pavers to protect your investment. It’s not just patios that benefit from sealing, though. Other paved areas such as driveways, retaining walls, pool decks, walkways, and other hardscaped areas benefit from this type of maintenance too. Your outdoor areas are exposed to harsh weather elements all day, every day. Sealing the pavers repel stains and prevent surface deterioration. Of course, these aren’t the only benefits. Keep reading to learn more about why you need to pay extra attention to your hardscaping materials. Are you tired of pulling rogue blades of grass from in between the pavers in your patio hardscape in Roswell? Are you fighting a losing battle against weeds? It’s frustrating, but you’re not alone. Many people struggle with grass and weeds growing between paver joints. The good news is that regular sealing prevents this from happening. Over time, pavers lose their luster. Wear and tear take a toll on hardscape materials, but when pavers are regularly sealed, they retain their beauty for longer. Sealing not only helps with color and texture, but it repels oil, grease, and other stains. It also makes it a lot easier to clean dirt and grime from the pavers, resulting in long-lasting beauty and helping your home retain its value. Have you noticed increased ant presence around the outside of your home? Are there colonies of ants gathered around your pavers in your yard? Before you spend money on pest control services, consider sealing the pavers. Sealing keeps food and other substances that attract ants from sticking to the pavers. Not only does sealing get rid of ants and keeps your hardscape attractive, but it also keeps harmful chemicals away from your yard. If you’ve ever had moss growing on your property, then you know that once it starts growing it’s hard to contain. Paver sealant keeps moss growth to a minimum. 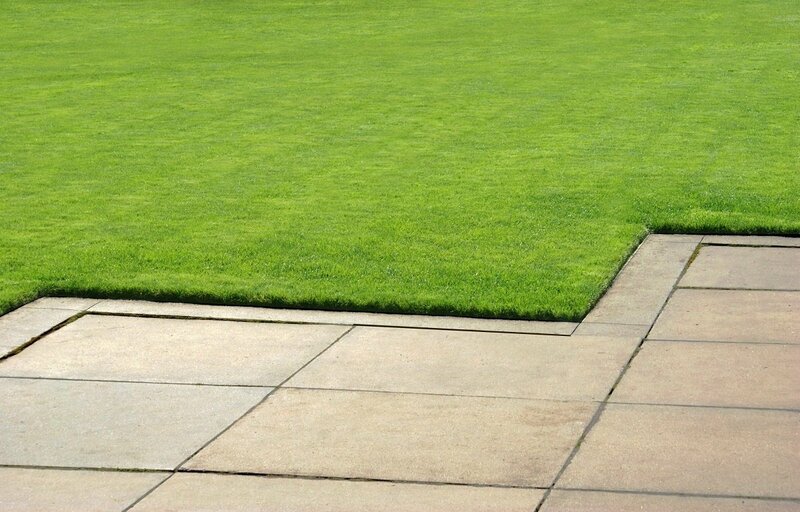 Like weeds and grass, once you properly seal your pavers, moss has a hard time penetrating the surface. Keeping this unattractive vegetation away not only keeps your paved area looking well-kept, but keeps it from turning green and slimy. Did you know that during patio installation in Roswell you have a few sealant choices to match your home’s style? Choose from a matte, natural finish, a satin finish, or an enhanced finish. If you’re restoring your pavers in Roswell, opt for a satin finish to bring back it’s shine and prevents future staining. For people who like the way pavers look when they’re wet, consider an enhanced sealer that provides this exact finish. Choosing the right protectant offers so many benefits. When you install pavers as part of your hardscape design, this isn’t a cheap project. Patios and other hardscape installations cost thousands of dollars and deserve the best protection. Choosing the best sealer means you’re choosing durability and reliability. You’re also taking the extra step to protect your investment by ensuring better joint stabilization and fungicide resistance. When you’re ready to apply sealant to your patio pavers in Roswell, contact Stoeckig Landscape Group for professional products and applications.